In January, I had the opportunity to visit one of the most remote communities in the world: the Tsaatan (literally, Reindeer People). 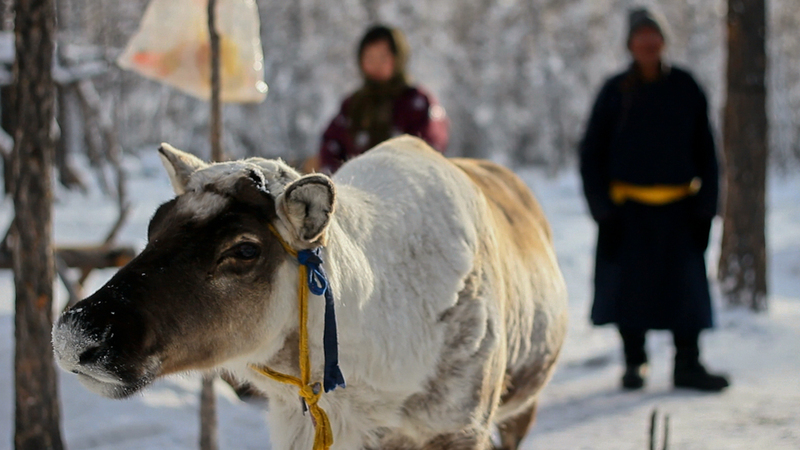 It’s a small community of about 400 people who live a subsistence lifestyle by drinking the milk of the reindeer they herd, hunting, and foraging. The Tsaatan live in teepees (called urts), changing camps with each season. In the summer, they are only reachable by a two day horse trek from the nearest town, Tsagaannuur (White Lake). It takes about four days to reach them from Ulaanbaatar. Their winter camp is much more accessible. They move closer to the town and the ground, which is terribly boggy in the summer, is frozen, allowing for people to come by car. The Tsaatan live in teepees called 'urts'. 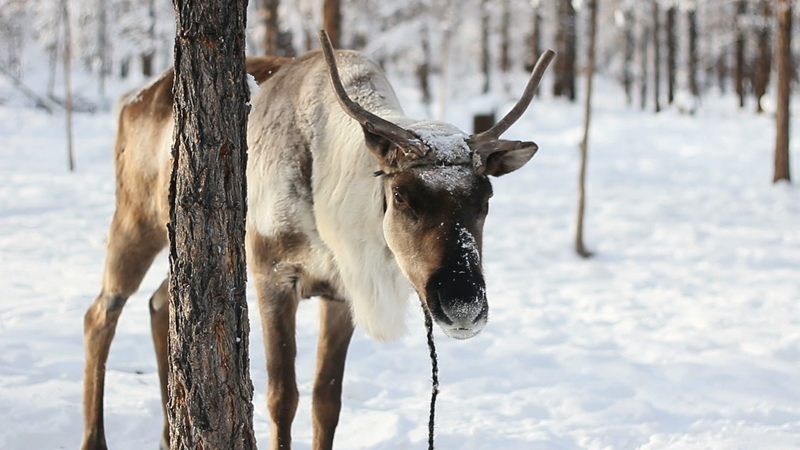 While they traditionally used reindeer hides, they now buy Chinese canvas for the walls. 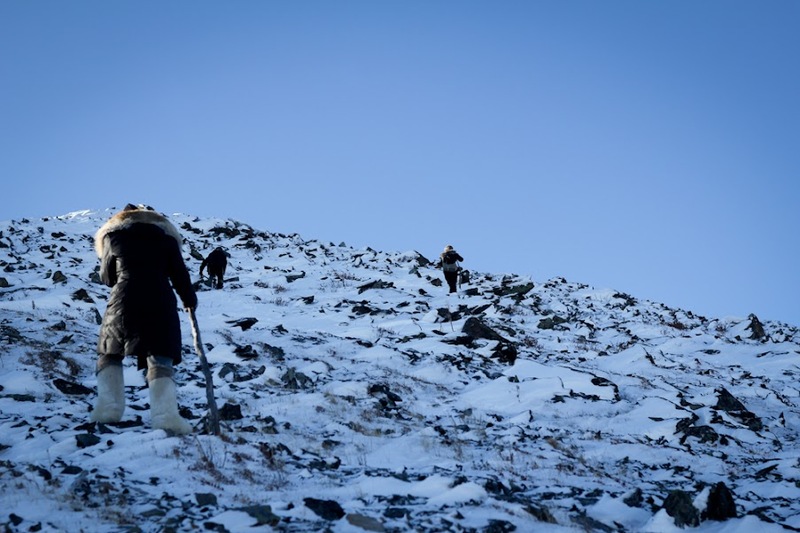 The Tsaatan divide into two groups in the winter. One moves to the western part of the forest, the other to the east, what they call ‘West Taiga and East Taiga’. 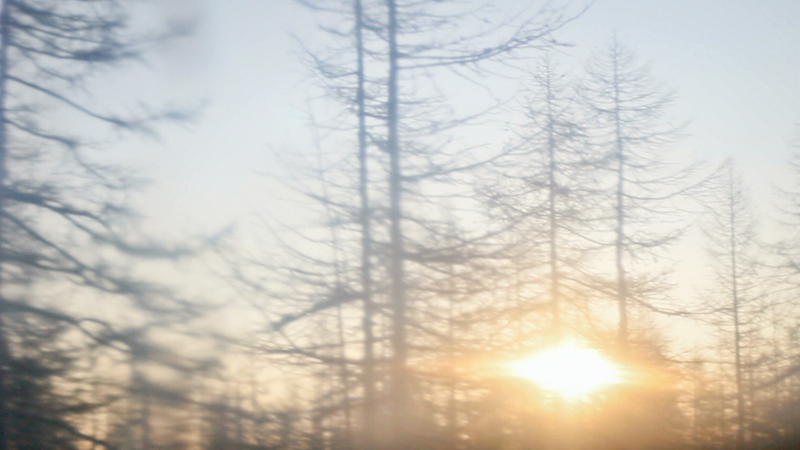 We visited the community in the East Taiga, a group of about 18 families. Although, 8 of the families were spending the winter in town where their children went to school. The camp consisted of two cabins and ten teepees, each with a solar panel outside and a small stove inside. When we arrived, all but two of the men had just left with the male reindeer. They were on a two week journey to locate the female reindeer who they had let wander wild a month earlier. The half-empty camp meant a leisurely visit. Our host mother melting snow into ice on the iron stove that also provides the cabin's heat. Every morning we arose with the sun around 9:00. 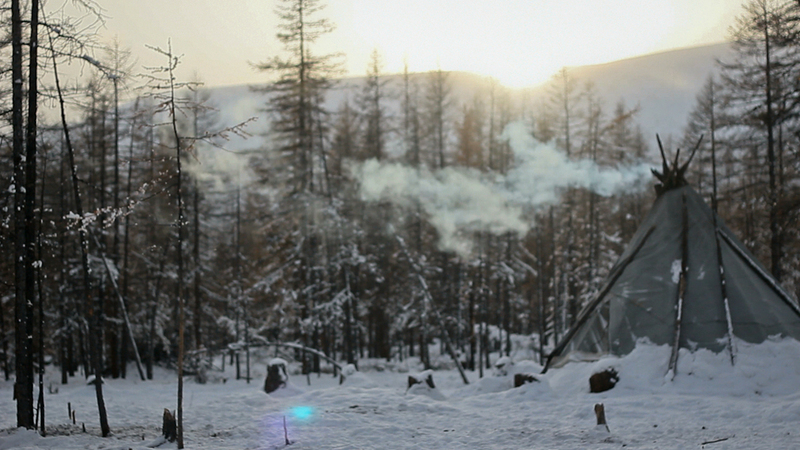 We stayed with a Tsaatan family in their small one room cabin, seven people in total. When one person decides it’s time to get up, everyone wakes up. Once we had made our beds, transforming the sleeping area into a living room, we drank tea mixed with reindeer milk and munched on some cookies or bread. The women would wander out into the forest and fill a large bag full of snow, which they would then melt for water throughout the day. Other daily chores included retrieving and cutting firewood, carving reindeer antlers to sell during tourist season, sewing and mending various items, and cooking. They fill their free time by visiting each other’s urts and cabins for some tea and conversation. Dinner was served once the sun went down (around 5:00) and was some form of meat (in our case, moose), with noodles or rice. It’s not the most luxurious meal, but in the frigid temperatures meat and carbs were more than welcome. Laundry hanging to dry outside one of the two cabins in the East Taiga. It might be easy to think that because the Tsaatan are removed from society, living off of what they can herd or kill, that they might be out of touch. Not so. Nearly everyone seemed to have a cell phone, which they kept charged on car batteries or via solar power. 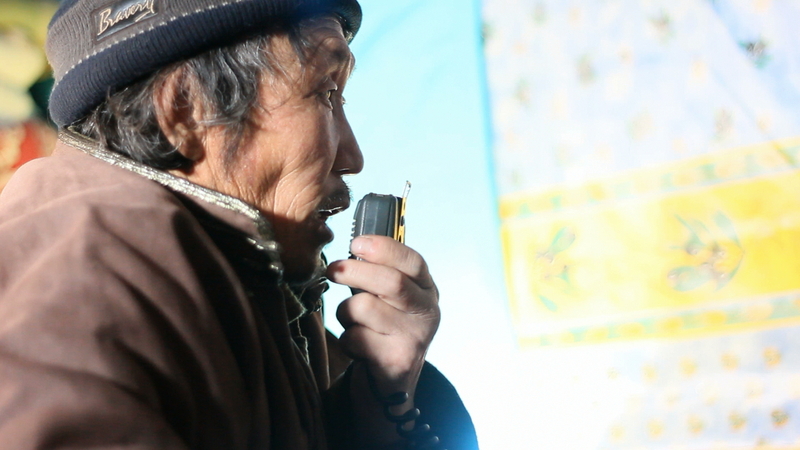 Members from the East and West Taiga call each other on a ham radio each day to check in and joke around. 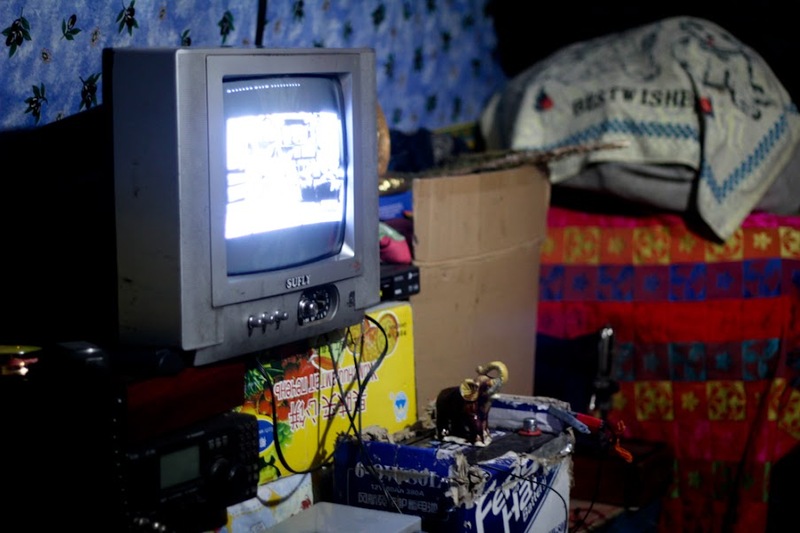 And the two cabins, erected a couple years ago, each had a television where community members would gather after dinner to watch a show on one of the 20 plus channels they received. The favorite choice was a Korean period drama popular throughout Mongolia. Our host father making his daily call to the West Taiga via radio. His code name is 'Polar Bear'. On our third night with the family, we were all sitting around the cabin. Some were chatting, my travel companion was writing, I was crocheting, and the man of the house was flipping through channels. You can imagine my surprise, and indeed, excitement when I heard a familiar voice on the screen. She was faint, and dubbed over in Mongolian, but nonetheless it was her. It was that unmistakable voice of Snooki. That’s right. I had traveled thousands of miles from Ulaanbaatar to visit one of the most remote communities in the world, and there was the cast of the “Jersey Shore”. JWoww, Pauly D, The Situation, Sammy, everyone. This is globalization at its purest. It must have been bizarre for the Tsaatan family to watch it. The two groups of people couldn’t be more different. The characters on the television show lead a hedonistic lifestyle, seemingly unable to do even a few hours of legitimate labor. The Tsaatan, on the other hand, ration their flour to ensure it lasts them through the winter. I wonder if they had a similar reaction to watching “The Jersey Shore” as Americans might have to watching a show on National Geographic about Mongolian reindeer herders. The 'Jersey Shore' captures our attention in a tiny cabin in the forest. JWoww on the television in the remote East Taiga. By the final night with the Tsaatan, my companion and I had grown quite comfortable with our family. We joked, played music, and managed to have very basic conversations (I only had three months of Mongolian language lessons under my belt). It was truly refreshing to feel so at home in a place that was so far away. Still, I am not sure if I could live that lifestyle. It’s not easy to live so close to the land, so far from the things we take for granted: running water, central heating, access to medical care, etc. And yet, there’s something so freeing about only having enough possessions that will fit in a 10 foot diameter teepee. The view of the sunrise through our cabin window (a plastic flap). 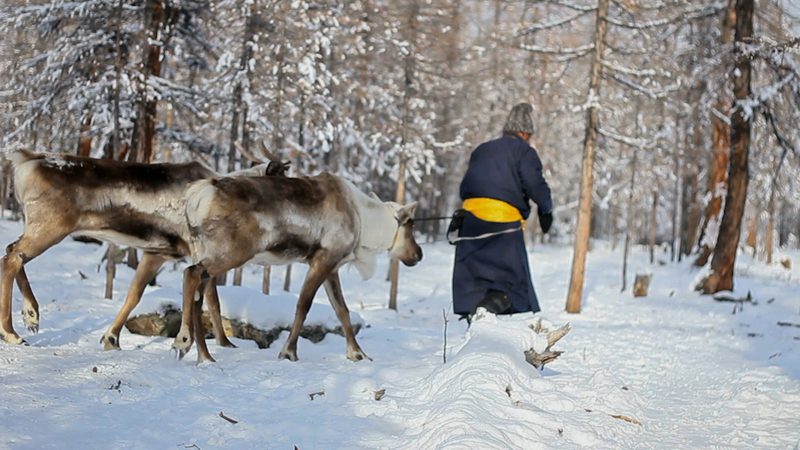 A Tsaatan man leading two of his reindeer. Reindeer really are the most majestic animals. Two feet of snow certainly doesn't make hiking any easier. Our hike to the nearest mountaintop. One brave Australian companion did it in felt boots! The rewarding view was short-lived. I could only take my hands out of my mittens long enough to take these pictures before they were frozen solid. The dry cold made my eyes water. Then the tears would almost immediately freeze on my lashes. My travel companion and me with our host family. Wonderful photos! How cold was it when you were there? Are there Mongolian television programs – drams, comedies, etc? It was about as cold as everywhere else here… -20s C during the day -30s at night. As far as TV goes, there are a lot of Korean dramas, dubbed over movies, and talent shows. Hi Lauren, I am looking to visit the Tsaatan in February 2013. Is there any chance you could lend me some of your advice on the practicalities on reaching the site and any contacts you can recommend? It would be highly appreciated! Thank you!